Sediments were deposited by water or airfall. Stresses in the sediments created a "crudely polygonal patterned" surface. Ground water navigated the fracture patterns and deposited minerals which cemented the sediments. After billions of years of wind erosion, the cemented, more wear-resistant fractures were left as the high-standing ridges seen below. 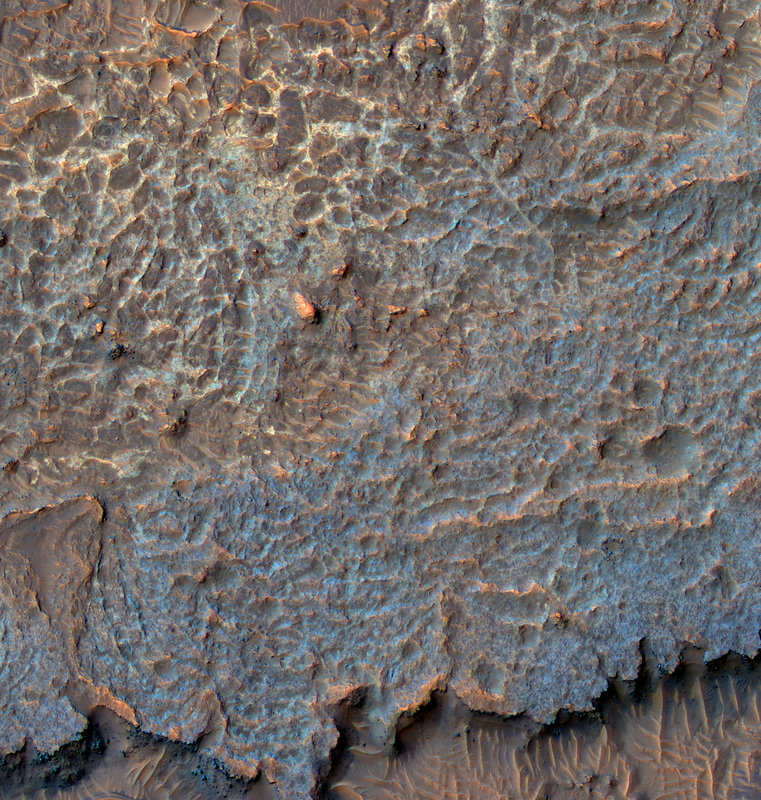 The HiRISE team emphasizes that this is just pure speculation on their part and there is no way to be sure exactly how these high-standing ridges came to be. Click on the image below to see the original captioned image from HiRISE that contains their speculation.